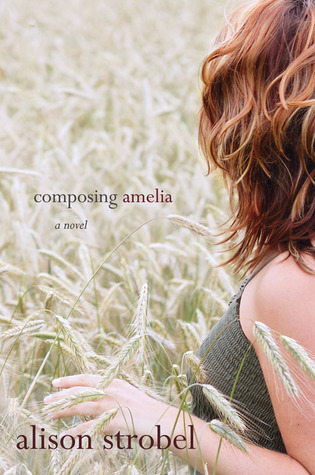 Goodreads: Composing Amelia, is a journey through the introduction of mental illness into a young marriage and the resulting havoc that can be wreaked by the disease. A young Los Angeles marriage is put to the test and two careers are threatened when Amelia's husband Marcus is hired as a pastor at a remote Nebraska church. The move results in resentment and sparks the onset of mental illness in Amelia. Can Amelia's faith stand up to the oppression in her mind and the dysfunction in her relationship with her workaholic pastor husband? Will Marcus recognize the mistakes he's made in time to make things right—or will the darkness in Amelia's head push her off the edge before Marcus can be the husband he's meant to be? And how can God use such broken people to turn around the lives of the small flock of believers to whom He's led them? Kritters Thoughts: A book that goes to a depressing place quick and the reader is stuck there for most of the book. With mental illness, lost career goals and a move away from home, this book is chocked full of hard issues that are confronted head on. Amelia is new to the Christian faith and married to Marcus who has his dreams wrapped around following in his father's footsteps to be a pastor of a church. They both come from backgrounds that didn't have the best role models to learn how adulthood should be. It made it interesting to see how each reacted to becoming an adult and overcoming the obstacles that come with responsibility. A Christian fiction work that wasn't all rainbows and perfection, with real life problems that couldn't just be prayed away - I liked that there was realism in Christian fiction. This book isn't for the faint of heart. I would only recommend it to readers who are ok to go to a sad place and don't mind a read that is heartbreaking and devastating.